2 CW CCW Motor Mini Quadcopter Micro for JJRC Mini H8 RC Quadcopte Kids Gift by uptogethertek at Open Drone. Hurry! Limited time offer. Offer valid only while supplies last. 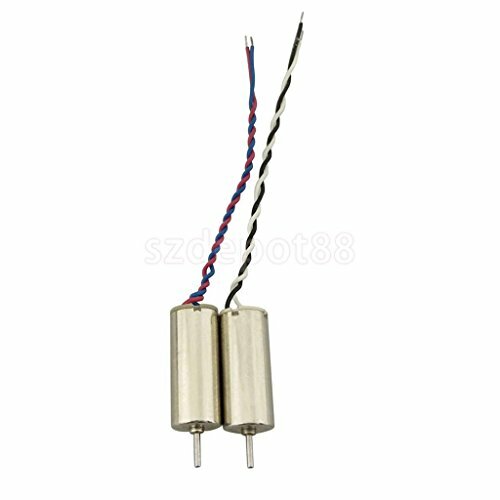 Cw motor & ccw motor compatible for jjrc h8c h8d rc quadcopter high quality and durable in use, easy to install very fashionable and stylish. Good be a gift to children. Designed to repair and replace old or broken motor set material: coreless motor size chart: d x l: approx. 6 x12 mm / 0. 24 x 0. 05 inches. Package includes: 1 piece cw motor 1 piece ccw motor.